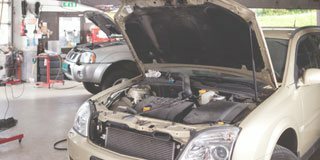 Our certified technicians perform top quality repairs on all vehicle makes and models. Join our TerraClean maintenance program and extend your vehicle’s existing warranty. We want to hear about your experience at Dan Hansen Auto Repair. Honesty, integrity and great service. Thanks Dan Hansen! Very friendly people who guarantee their work! 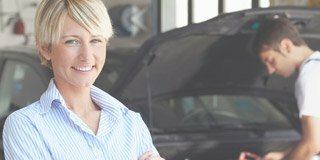 They are always willing to help out and want the best for you and your vehicle. If you look up the word "integrity" in the dictionary you will see a picture of Dan Hansen... need I say anymore? Oh yes the love your car gets from the young man who does an excellent cleaning inside and out is par with all the other services @ Dan Hansen Auto Repair. Made an appointment at Dan Hansen Auto Repair after reading all the good reviews on google. And I was NOT disappointed, not one bit. Friendly & personalized customer service, fair and good advice on which repairs should be done. They gave me a loaner car to accommodate me and they even detailed my car before giving it back. I will definitely go back for all my repairs and will send anybody that needs a good honest mechanic in Langley. Thank you!!! What an awesome place! Dan is always super helpful and very trustworthy. They always call to confirm work before doing anything extra and are very clear on their receipt of the expenses. Great customer service! Love everything about Dan Hansen Auto Repair, but above all, he is right up there on the top of my list of MOST TRUSTED business associates. Very hard to find in this day and age! This was my second time dealing with Dan Hansen's team. They were friendly, attentive and professional. The price was very fair and the service was excellent. You can't ask for more than that. I would not hesitate to bring my Merecedes back to them. Dan is an excellent, honest mechanic. I've been going to him for two years. No complaints. His shop does quality work and goes the extra mile. Great service, easy to talk to, good value. This guy has saved my life several times. If you want an honest mechanic that knows what he's doing, gets the job done, has some of the best trained staff around and is so willing to accommodate you in any way then go see Dan. He'll get you a loner and get most anything done same day. Probably one of the best mechanic experiences I've ever had. My wife and I are from out of town, and needed some repairs done in a bit of a tight situation. Not only did the owner Dan beat the price quoted by a dealership​, but he walked us step by step with quotes all upcoming potential repairs needed in the future. Great guy, great team, and they hosed down our car after they stayed past closing to service it!! Long short, I believe you'd be doing yourself a disservice by going to anywhere else other than Dan Hansen auto repair. Dan is EXTREMELY professional & FAST!!! EXCELLENT SERVICE!!! I CAN'T THANK YOU ENOUGH!!!! Dan was very friendly and honest. He took me in very quickly and on last minute note. Offered me a courtesy car which is nice. He guarantees his work and does wonders. Highly recommended. What a great experience! Dan, his wife and entire staff were amazing. I highly recommend his services! Dan and the crew were more than helpful, getting the repairs done in a timely cost effective manner at the same time giving a loaner car. From a dealer you might get a loaner but a private shop, it says they stand behind both their time and their work. Thanks for the great service guys! Awesome place! Glad I was recommended here. Took my car in quickly, fixed it, and cleaned it! Knowledgeable, friendly, and not horribly expensive. Will be taking my car back to them! Awesome guys. Took my car in right away and gave great advice. Definitely coming back to this business for further future repairs. Honest, friendly, quick service and compassionate. Great service! Honest and comprehensive. Took care of me and my family in a tough situation. don't look anywhere else go here! I highly recommend this top notch service shop. Amazing service, honest people, and hard workers. Always walk away pleased and confident. They warranty their work too. One of the few auto places that works on Smart cars as well. I wait a while to write these testimony to make sure whatever the fix I mention here is a genuine true fix. First case. Windstar 2000; plagued years by check-engine-light and other issues; dealer went out of biz; other mechanics could not fix it, yet gave all sort of excuses; Dan and his team (Rod, Shawn, Jay, and Kevin) did a knowledgeable and professional job on the car. Not only the price is right, the turn-around time is also fast!. We have driven it for 18 months without ANY problem! Second case. Nissan '09 Altima; work-horse of our family; got hit by a New-driver. Once again, Dan and his team have done a superb job and return our car like new. They are true, honest, kind and very likeable! I'm sold. I count them as a true blessing. Before you come to the shop, check out our online specials. We offer discounts and coupons on many of our popular services. 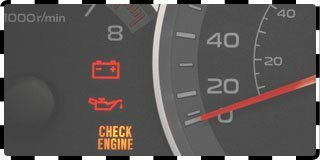 Our car care tips are here to help you get the most from your vehicle, and to keep it running great between visits to the shop. 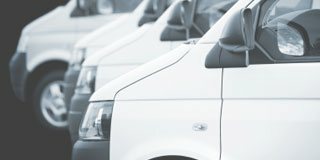 If you operate a fleet of vehicles or equipment, we’ll handle repairs and get you back on the job as quickly as possible. Serving Willowbrook, Willoughby, Walnut Grove, Brookswood, Fernridge, Murrayville, Cloverdale, Surrey, Langley, and surrounding areas.